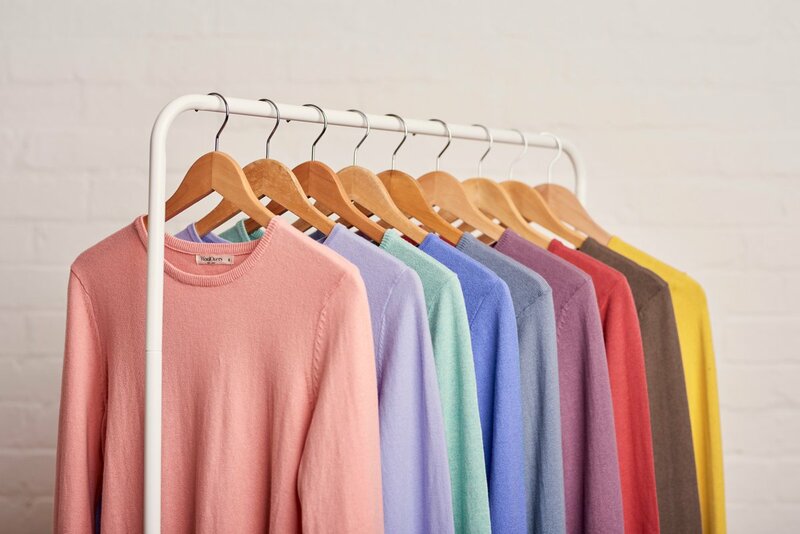 The softest cashmere, the cosiest lamb’s wool, the comfiest cotton and the finest silks… at WoolOvers we believe in doing it naturally. Natural knitwear will look great and last for seasons to come. We've pulled together a guide to making your knitwear last for life. We have blended our softest cashmere with merino wool to create a snuggly yarn that is less likely to bobble. A stylish crew neck jumper that will last you for seasons to come. Take everyday dressing to the next level with this classic, V-neck jumper. Crafted in superb, 100% cashmere, it is perfect for making chilly mornings cosy and warm, and evenings soft and luxurious. Invest in this fantastic versatile in your favourite colour today, and be glad you went cashmere. We only use 100% natural fibres. from those High Street shops. We've pulled together a guide to making your knitwear last for life. © 2018 wooloverslondon.com | All Rights Reserved.